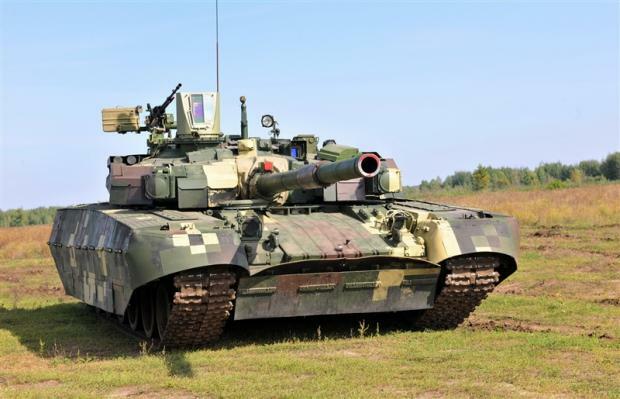 Oplot main battle tanks (MBTs) will be used in the Anti-Terrorist Operation in 2016, while currently the are only being exported, that’s according to Yuriy Melnyk, chief of the armored division of the Armed Forces of Ukraine, the press service of the Defense Ministry reported. "We will be buying Kharkiv-made T-84 Oplot MBTs next year," he said. Oplot MBT was put into service in 2010 and has been exported to some countries around the world. Now the Kharkiv plant receives funding for their production," said Melnyk. According to him, the troops have yet to master operating this modern equipment before it can be fully used by the Ukrainian Army. Asked when the Army will be provided by Ukraine-made modern armored personnel carriers (APCs), Melnyk said: "Of course, we can provide equipment, such as BTR-3, in its current shape, and spend a lot of budget money. But the main thing for the Ukrainian Armed Forces is reliability, and the existing model does not meet our needs. Factory testing is now being completed of a new APC model, next week we will move to the interdepartmental testing. The model, which Kyiv State Plant will produce for us, will be truly reliable. And it will be put into service as soon as possible."